While retirement does mean no work, you still must pay your taxes. Unsurprisingly, paying taxes can get tricky during a time when you’re not actually working, and instead are relying upon savings (which no matter how large, is still limited). It is therefore essential for you to estimate the taxes that you must pay, and plan your budget accordingly to avoid any inconvenience later. Taxes during retirement work the same way as they would when you work, i.e. calculated on the basis of your annual income. Every source of income is taxed differently, which is why it is a good practice to have sound knowledge of the various nuances of tax rules. If Social Security as your sole retirement income source, you will probably not have to pay taxes in retirement. If you have income sources other than this, however, then at least a part of your Social Security income will probably be taxed. The amount of tax determined is based upon a formula, can vary from zero to 85%, depending on your additional sources of income. Other income sources are termed as “combined income” by the IRS, and this combined income is plugged into a formula in your tax worksheet which will determine the percentage of your benefits which will be taxed annually. Usually, retirees with large amounts of monthly pension will pay up to 85% from their Social Security benefits, and will pay their total taxes at a rate of 15-45%. Retirees relying only Social Security mostly get their benefits tax-free. Generally, retirement accounts withdrawals are during retirement. This includes both IRA withdrawals and withdrawals from plans like 401(k), 403(b), and 457, among others, all of which are reported as taxable income on your tax return. The percentage of benefits that you must pay as tax will depend upon a combination of your total income, your deductions and the particular year’s tax bracket. For instance, if your year has more deductions than income (say, for instance, if you spent a lot on medical expenses), you might be exempted from paying any tax on withdrawals for that particular year. Roth IRA withdrawals, if done properly will be tax-free. Pension income is generally taxable. The best way to determine the tax on your pension is to use a simple guideline – if the withdrawal goes in before tax at the time of withdrawal, then it will be taxed. Since most pension accounts are funded with pre-taxed income, all of the amount will be written-off as taxable income each year on your tax return. In such cases, you can ask for your to be deducted from your pension check. IRA or retirement account-owned annuities are taxed on the basis on tax rules in the section on IRA withdrawals. If the annuity was purchased with the help of money that was not within an IRA (or any another retirement account), then the tax will apply based on the kind of annuity purchased. 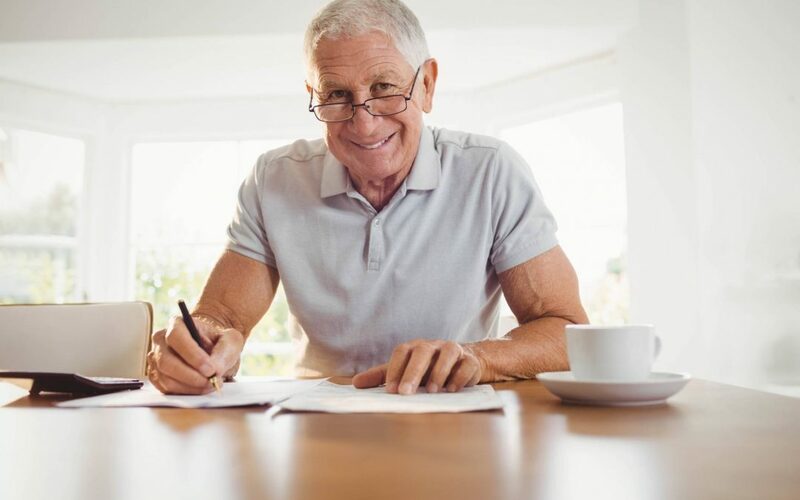 In case of immediate annuity, only a certain portion will be considered interest, and only this portion will be included in the taxable income section of your return. The annuity company will inform you of your “exclusion ratio” i.e. is, the amount of annuity income which will be excluded from the taxable income. As for withdrawals variable or fixed annuities, the earnings need to be withdrawn first. This implies that if the account is worth more than your contributions, you will initially withdraw earnings or investment gain, which will be taxable. Upon withdrawing all your earnings, you will be withdrawing the original contributions, i.e. cost basis, which are tax-free. Investment income works the same way as dividends, capital gains and interest income, by being reported on a 1099 tax annually. It is sent directly from the financial institution where your accounts are held. If you are systematically selling investments to generate income during retirement, every sale you make will generate a long/short term capital gain (or loss), which will subsequently be reported on your tax return. Taxes are nullified only when the other sources of income are not very high. If the home you are selling has been lived-in for a minimum of two years, you have a high chance of not having your home taxed unless your gains are more than $250,000 (in case of a single person) or $500,000 (in case of a married couple). Renting homes have more complex rules, and tax calculations for the same require the expertise of a tax professional, who will help you determine the amount of gains which need to be reported.